Indigenous Art Code CEO, Gabrielle Sullivan insists, “Our greatest strength is the need". It's hiatus time at the Indigenous Art Code (IartC). At a time when there seem to be more debates about the artform and its marketing, the new, one-person administrator of the Federally-funded authority “overseeing ethical trade and good professional conduct” across the whole shebang is pretty much hog-tied until the end of July! The debates I was referring to include the issue of whether an art centre can sell art such as Sally Gabori's outside its relationship with a specific dealer? ; should someone (IartC, the police, the ACCC?) take action when a fly-by-night auction house offers Indigenous paintings of dubious provenance or the works of an artist 'locked up' in an Alice Springs sweatshop to paint until family debts are paid off? ; should Sotheby's in London auction Aboriginal art when Sotheby's Australia has ceased to do so? ; would the development of critical standards help distinguish between the fine art and the dross? ; etc etc. 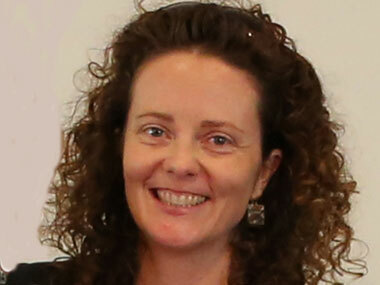 Gabrielle Sullivan – appointed CEO of IartC in December and in place in a Sydney office since February – believes the Code is important and knows that “atrocities continue”, that there's “a lot of distress out there amongst artists”, but is doubly restrained by a) the Government's decision to refuse an admittedly ineffective organisation the statutory power to impose its ethical standards across the industry rather than on a voluntary basis, and b) by a Board decision to put much on hold while they review the criteria for Code membership. Oddly, when I spoke to the Board's Chair, Richard England at the time of Sullivan's appointment, he seemed to think that a high priority was commissioning “an independent review of the Board” - which might seem to be something to do before taking vital decisions. Sullivan knows nothing of that – so the impasse where two 'dealer' members standing for election received equal votes at the last AGM, so neither could be elected, and the oddity whereby remote art centre members are categorised as 'dealers' when they clearly have multifarious roles in the industry other than simply trading in art both remain unresolved. Why, given the art centres' centrality to the whole business, wouldn't they be in a separate category? One might also argue that a voting system where all IartC members vote for all categories of Board members has the potential to cut each category off from its specific constituency. But perhaps that was the intention: not wishing dealer members to see themselves as representative only of dealers in their decision-taking, but to be there for their many artist voters – some art centres have signed up en bloc – for the consumers of their product (who don't get a vote and seem largely ignored by the current system) and for art institutions. I suspect some of the recalcitrant dealers – Alcaston springs to mind – might become joiners if they felt themselves part of a specific constituency? So, matters to resolve. And even the effervescent Gabrielle Sullivan – the bull-dust of the Pilbara, where she established the Martumuli art centre network over 8 years, barely off her boots – admits, “It's pretty frustrating being in an organisation where people say, “But you've achieved nothing”! She quickly recovers from doubt, however, to add, “Our greatest strength is the need. Quite clearly consumers need the Code, frequently asking the question 'How are the artists remunerated?' ...they're nervous, and the market has to put in place process and transparency to respond to them. The Code only exists because people buy Indigenous art”. “And the artists need us to answer they're distress”, Sullivan continued. “We also need to educate them so they don't rip themselves off. We only had one case at Martumuli where a senior artist got herself 'locked up' in Alice and made to paint – so we made a DVD in language (with sub-titles) to help them understand why that sort of thing doesn't help them in the long run or the art centre; and what the dealer's role is in the system – why they deserve a cut to cover rent, staff, marketing etc”. “Of course there are always going to be tensions between the dealers and the art centres”, she admitted,”exacerbated recently by the falling market. But I think we at IartC can do a lot for both the dealers and the brand image of the business by promoting best practice amongst our dealer members to consumers. Unfortunately, because the Government refused us mandatory status, a case like the criticisms of Arthouse Auctions couldn't be investigated because they simply left the Code”. Yes, the Code has limitations, and there's confusion about both its role and its capacity to actually deal with issues. “But a lot of issues that persist”, insisted Sullivan, “are in the grey sphere of morals and ethics – and it's very hard to find tangible solutions for intangible problems”. Let's see how IartC and its CEO have gone again in August.